How do people’s convictions to respect human dignity coexist with their passions for science, biology, medicine and technological innovation? What types of conflict arise between Christian values and advancements in these fields? 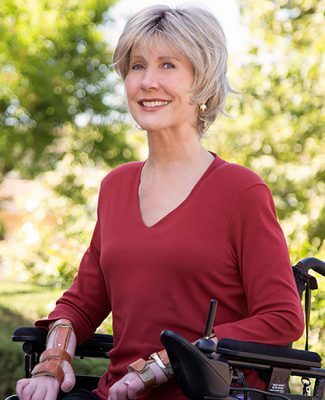 Joni Eareckson Tada is the Chapel speaker on Monday, which leads off the second annual Bioethics Conference. The Grand Canyon University community can gain insight on pressing questions in bioethics and they can ask questions and share thoughts on contemporary ethical challenges with experts in health care, ministry and education on Monday at the 2018 Bioethics Conference at GCU Arena and the First Southern Baptist Church. The second annual conference, titled “Human Dignity: Clash of World Views” features four speakers, beginning at 11:15 a.m. with Chapel speaker Joni Eareckson Tada, founder of the nonprofit organization Joni and Friends. The conference has been in the planning stages since last year’s inaugural conference. The College of Education and the College of Theology are the co-sponsors and there are members of the planning committee from the College of Nursing and Health Care Professions, Student Engagement, Strategic Education Alliances and Event Services. Dr. Marjaneh Gilpatrick, the Executive Director of Educational Outreach, is the chairperson of the committee, which also includes community members Pamela Baldwin and Melissa Pullon. Baldwin is the director of the Phoenix branch of Joni and Friends, a nonprofit organization devoted to spreading the word of Jesus Christ to people affected by disabilities. Tada, the Chapel speaker, is the founder of the organization. Pullon is a GCU parent and church director of special needs ministry. Thousands of GCU students will hear the message of Tada, an international advocate for people affected by disability whose 1967 diving accident left her a quadriplegic. The target audience for the rest of the speakers is a mix of church members from the surrounding community and GCU faculty members who plan to bring their students from class, along with students who do not have classes. Following lunch, the second part of the conference will be held in the smaller venue at the church adjacent to campus. Beginning at 1:15 p.m., Critical Mass, GCU’s a cappella ensemble, will perform, followed by welcoming remarks from GCU President Brian Mueller, and a prayer by Dr. Tim Griffin, Pastor and Dean of Students. Guest speaker Scott Klusendorf, who trains pro-life advocates to speak in the public square, will begin his talk at approximately 1:30 p.m.
At 2 p.m., Sue and Daniel Stratman will speak. Along with Jay Stratman, they are the authors of “When Losing is Winning,’’ the story and aftermath of Daniel’s hernia surgery, which left him severely brain injured. Suzanne Helzer follows at 2:30 p.m. She is the nurse manager at First Way Pregnancy Center in Phoenix, working daily with women in crisis pregnancies. A panel discussion is planned for 3 p.m., followed by evaluations, door prizes and closing. The event is free for the students with GCU identification (lunch not included). Tickets for non-students are $15 and include lunch.